What to do, if you’re a gallerist, when summer comes around? Throwing together a hodgepodge from the storeroom is always a popular option. Those with a little more ambition might attempt something hipper by engaging the services of a guest curator. Either way, a lighter-than-usual theme is de rigueur. But mounting a solo show remains the exception. If the artist is a current darling you might get away with it; otherwise, the dog days are also something of a graveyard slot (London’s Richard Salmon Gallery admitted as much by titling a show “Bad August” back in 1996). 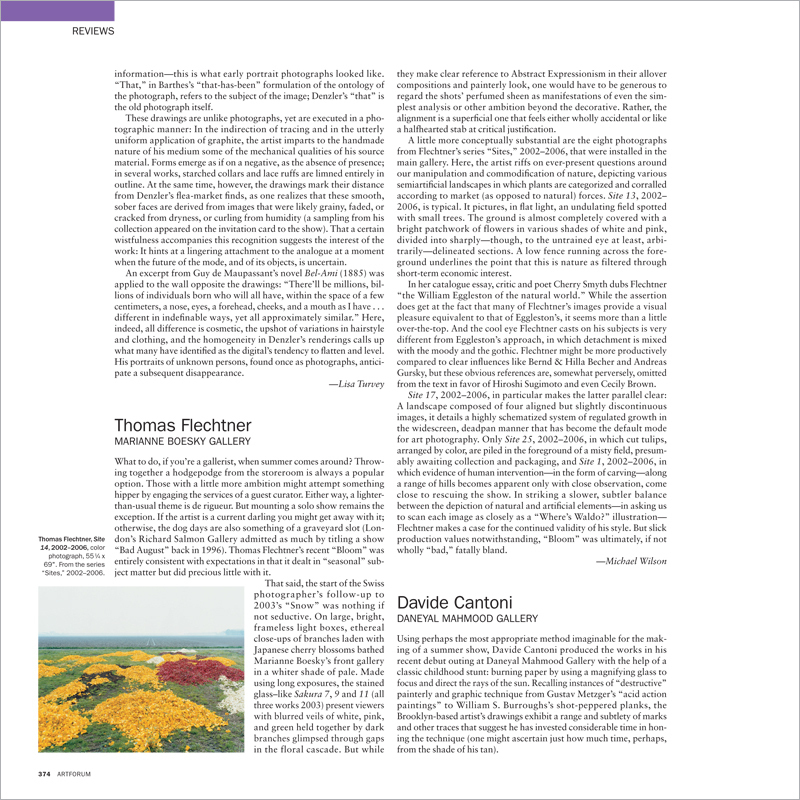 Thomas Flechtner’s recent “Bloom” was entirely consistent with expectations in that it dealt in “seasonal” subject matter but did precious little with it.